Will the euro currency remain in high demand or will this currency see a drop in interest from investors around the globe? There are many reasons why investors may be worried about future euro investments. In recent days the currency has seen falling prices on the market, and concerns about European finances and unrest in some countries where the Euro is used has caused some investors to think twice before trading in the euro. The recent election in Greece has caused concern with many European banks that this country will stop using the euro and switch back to the previous currently. Austerity measures in many countries in Europe are not widely popular and the unrest caused by the situation adds to the concerns over the future of the euro. In the past the euro currency has suffered some setbacks and seen value fluctuations when compared to other currencies around the globe. This currency almost always recovers though, and this has many investors predicting that the weakened euro will bounce back once again. As long as investors believe that this currency is a good choice then a high market value is almost guaranteed. If economic or global conditions and factors cause a decline in the euro popularity then the currency may see a lower demand. One of the market factors that set the value of the currency is supply and demand. If Greece switches back to the drachma then there will be less demand for the euro because of this competition. Some banks are concerned that the situation in Greece will cause a currency change, and any contracts with the government of Greece or any loans outstanding may become due in the new currency of the country rather than the euro currency that is standard right now. This could cause a decrease in demand for the euro as banks scramble to purchase drachmas instead. Right now the currency is weak against the US dollar and many investors have started to turn away, but others believe that the currency will come back strong again and demand for the euro will continue to be high far into the future. Market conditions will play a role in the size of the demand for the euro and if fewer countries use the currency there will be a lower demand and a higher supply. This could cause the currency to drop significantly in price and making it less attractive to most investors. When the question of whether the demand for euro currency will stay high is asked the answer varies from one investor or financial expert to the next. Some believe that the currency will continue to be very appealing for investment purposes but others do not think the euro is a very strong bet anymore. The location of the investor also plays a role, because many European investors have lost faith in the currency while a number of American investors commonly trade it. 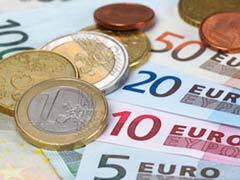 If political or economic change happens in Europe then the euro could quickly fall out of demand in a very short time.